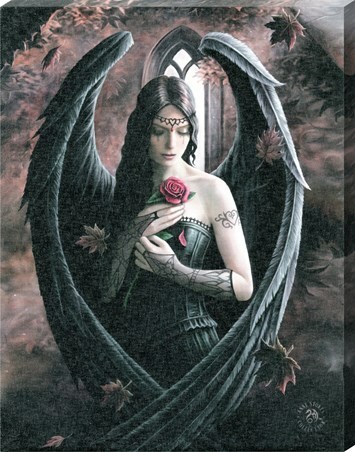 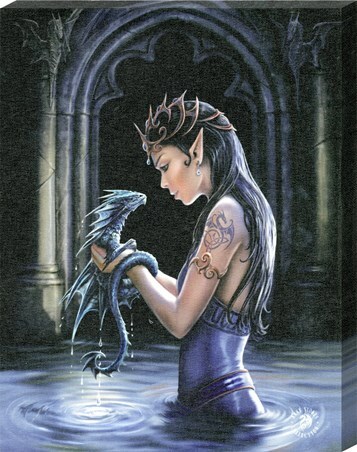 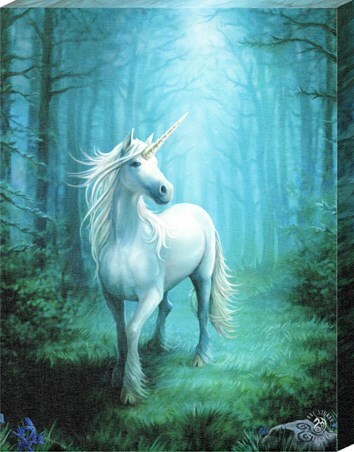 Art Canvas Print: If you love fantasy art then this enchanting piece by Anne Stokes will make an eye catching addition to your collection. 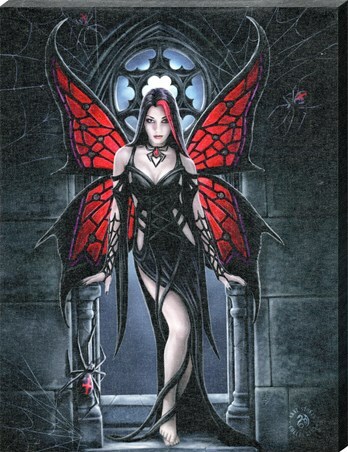 With its wings wrapped around a bejewelled skull crucifix, this gothic guardian entwines itself around the cross and snarls at anyone who should dare come close. 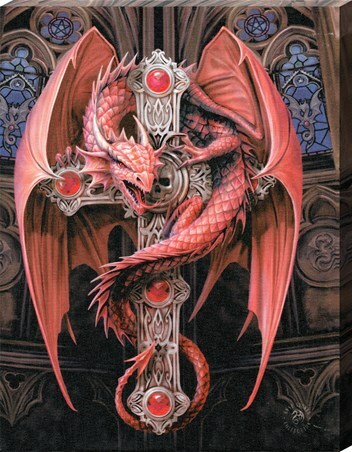 Against a church window of stained glass, this red beast is the perfect way to liven up any wall in need of some gothic charm.